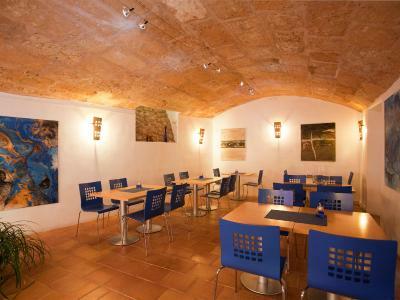 Lock in a great price for Fornalutx Petit Hotel - Turismo de Interior – rated 8.4 by recent guests! 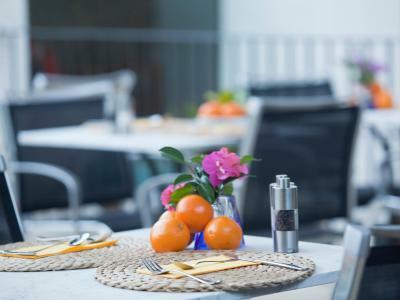 I liked everything, it's a perfect little family hotel, friendly, cute, quiet, staff very friendly, top location, nice breakfast, beautiful garden, relaxed atmosphere, Honesty Bar available 24/7, loved every single thing about the hotel. It's really just what I want from a hotel, the way I imagine my perfect hotel. The staff were extremely accommodating and very helpful, to the point of the owner giving us his mobile number as we were arriving very late and it is a little tricky to find at night. We will definitely return. Just a general sense that the staff would help with anything. Beautiful place. Expansive breakfast. Massage on short notice. Magnificent location - amazing view of the valley from the room and the terrass. Clean and authentic. Lovely garden and good breakfast. Peace and tranquility and the staff were great. 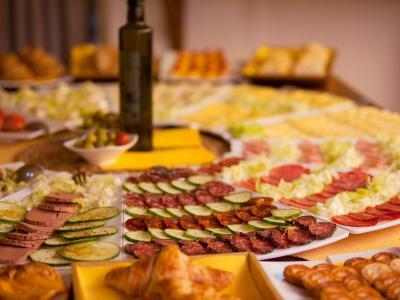 A special mention to the breakfast staff and the manager at reception, very friendly, helpful and great customer service. 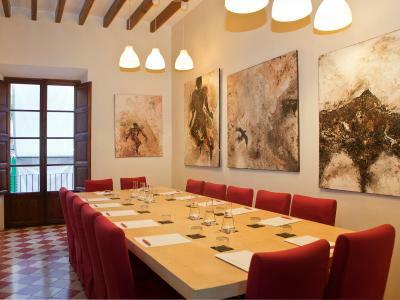 Fornalutx Petit Hotel - Turismo de Interior This rating is a reflection of how the property compares to the industry standard when it comes to price, facilities and services available. It's based on a self-evaluation by the property. Use this rating to help choose your stay! 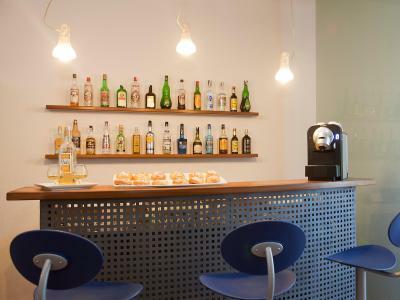 One of our top picks in Fornalutx.Fornalutx Petit Hotel is a small, charming hotel in the heart of the village of Fornalutx (560 inhabitants). Located on a quiet, traffic-free street, the hotel’s attractive original building was formerly a convent and once housed the village school. Today, the building features bright, spacious, airy accommodations, fully-equipped with all the modern comforts and facilities you need to enjoy a restful, relaxing holiday. 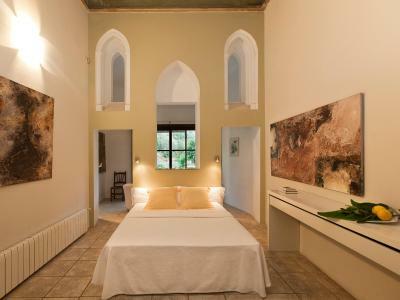 There are just 18 rooms, guaranteeing guests peace and tranquility and a friendly familiar atmosphere. Each room has a private bathroom, satellite TV, telephone, stereo system and a safety deposit box. 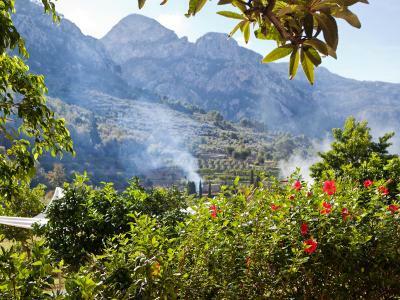 Guests can enjoy an attractive garden or enjoy a refreshing dip in the small outdoor swimming pool, which has spectacular views of the mountains and the valley. 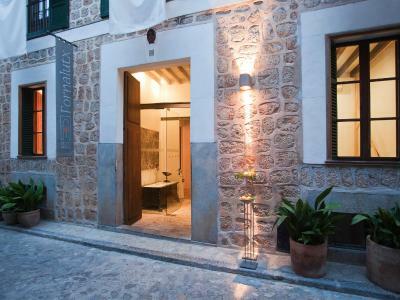 When would you like to stay at Fornalutx Petit Hotel - Turismo de Interior? This room features free Wi-Fi, satellite TV and a private bathroom. It offers mountain views. This room features free Wi-Fi, satellite TV and a private bathroom. It offers city views. 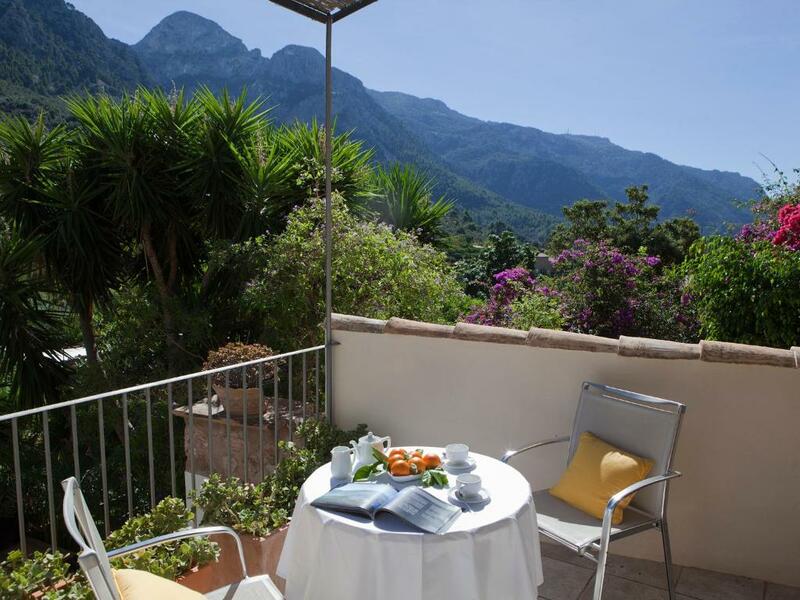 This room features a private balcony with mountain views and includes free Wi-Fi. This suite comes with a separate lounge, satellite TV and a private bathroom. This stylish Junior Suite features a balcony, a seating area and air conditioning. It has satellite TV, Wi-Fi, a safe, tourist information and maps of the island. The private bathroom offers mountain views, hairdryer and free toiletries. 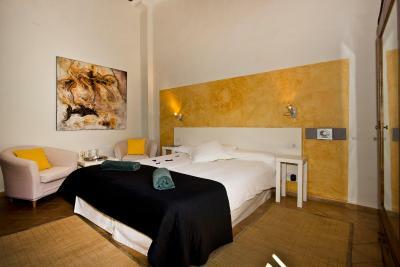 This air-conditioned single room has satellite TV, WiFi, a safe, tourist information and maps of the island. The private bathroom offers a hairdryer and free toiletries. 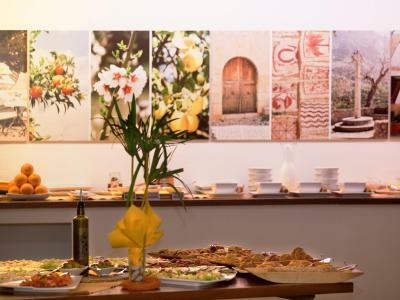 House Rules Fornalutx Petit Hotel - Turismo de Interior takes special requests – add in the next step! Fornalutx Petit Hotel - Turismo de Interior accepts these cards and reserves the right to temporarily hold an amount prior to arrival. Please note, when booking more than 2 rooms, different policies and additional charges may apply. Please inform Fornalutx Petit Hotel - Turismo de Interior of your expected arrival time in advance. You can use the Special Requests box when booking, or contact the property directly using the contact details in your confirmation. Breakfast room a little dingy although in good weather the terrace and garden can be used and they are lovely. Breakfast a little late at 8.30. Would have preferred 7.30 availability. We stayed in Room 4 which is sold as a Junior Suite. The room is big but very tired. The bathroom is tiny and very dated. No bath only a small shower and tiny window. I suspect all the rooms need a total refurbishment. We were expect a boutique hotel and for £250 a night I expect a lot more. Plus breakfast doesn’t open until 08:30 which is late if you want to do a days cycling. All good - freindly and QUIET! Although i didn't really shop around as there seemed to be not a lot of accommodation available in Fornalutx, i felt it was a little expensive. But i don't wish to complain, we were very happy with our stay. Beautiful location, a peaceful, comfortable stay. While the lady of the house and the female staff had a very positive attitude and were highly service minded, the two male receptionists appeared somewhat complacent and quite casual. For a place of this standard, I would have expected a somewhat more accommodating welcome and checkout procedure. When we arrived, we were simply told that we were early and that we could come back later (we were allowed to drop our bags). This was of course fine, however the gentleman in the reception didn’t make us feel welcome at all. When we left, we were encouraged by the very casual receptionist to write a ‘nice review’ on booking.com. 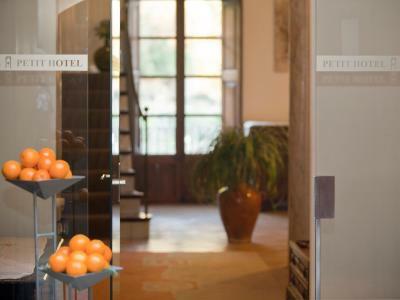 It seemed to me that the Fornalutx Petit Hotel is struggling to determine its position as either a small and elegant boutique hotel or a casual hotel for people who like hiking. The only thing that could be improved is to bind the beds together for the Double Bed combination. The beds tend to drift away from each other because of the tiles on the floor. Other than this small detail, it was nothing short of perfect. Awful bed. Entrance smelt. No staff on duty after 5 pm. Indifferent customer service. Hairdryer wouldn't work. After chasing up with reception and eventually the very casual owner it was determined that the hairdryer only works if the bathroom light are on - who knew! Nothing. We had no complaints at all.